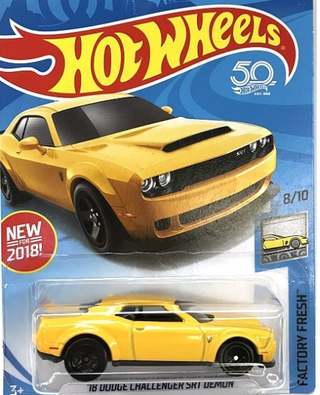 I’ll put this carded Dodge Challenger Demon out as safety, as the rest is simply insane. For one, a new STH is revealed, and it’s a green R34 Skyline GT-R. Dang it. Why is it green? For a palette cleanser, though, here’s a preview of MiniGT’s 1:64 offerings. Both the McLaren P1 GTR and Senna make their 1:64 debuts along with the Aston Martin Vulcan and 991 GT2RS. Look out for them sometime in the near future (also, why is it that no one else did the P1 GTR and Vulcan anyway?) They also have the Ford GT GTE, so it’d be interesting to see how far the difference really is compared to the HW Mainline and premium Car Culture version. They also have 1:43 versions of the new Vantage and Ford GT GTE cars. But you didn’t come here for just some piddling small cars. No, no, you came for this: a 1:18-scale McLaren MP4/4, which is as good a family heirloom as anything you have. Look at it. It’s magnificent. All photos credited to T-hunted, from their website and IG.